Yamaha!!! This name rings a bell in the minds of enthusiasts for sure. Right from the legendary RX100, Yamaha never fails to feed the biking enthusiasts with enthralling performance. In India the major mass of the bike market lies in the commuter segment. But Yamaha has tasted little or to be frank, no success in this. Known for its performance, Yamaha always focusses on the sports commuter segment in India. The launch of R15 and FZ16 by Yamaha in India was a revolution to bring some excitement to the boring office going commuter segment. R15 and the FZ, were launched with striking designs. Not only that, but these bikes ensured some serious performance and a ride and handling combination that is still a benchmark in their respective segments. Now Yamaha has upped the game with the launch of the R3. Constructed around a diamond frame, this bike ensures some serious knee on the road cornering adventure even to the amateurs. Most manufacturers are focusing on the quarter litre sports commuting segment and Yamaha will never want to be left behind in this segment. That said, the bike is a killer in the looks department and everything for a rider falls into place ergonomically. The bike generates a healthy 42 PS of power and 30 Nm of torque. 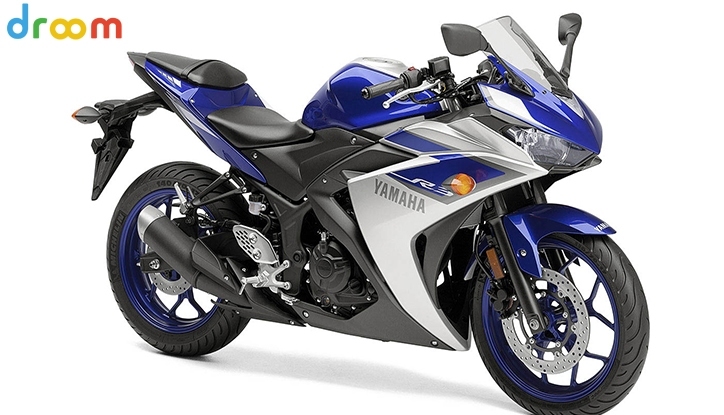 Yamaha has also priced the bike competitively. At 3.25 lac ex-showroom Delhi, this bike comes as a very desirable package to both Yamaha enthusiasts seeking an upgrade from the R15 and to others looking for a sports commuter. To reach the 3.25 lac price point, Yamaha has done some cost cutting by not offering ABS and slipper clutch with the bike. Yamaha has also not offered the bike with the more sophisticated perimeter frame and this bike runs on low cost MRF rubber, where the international models get the more sticky Michelins. However, what you get at this price is a bike that is an all-rounder for your everyday commute, occasional track visits, and also serving your touring needs.